Exclusive tool for maintenance of ladder type wire conveyor belt. Suitable for wire belt with rod diameter of up to 5mm. Optimized claws for opening looped wire of conveyor belt. Newly invented edges on inside claws for gripping wire rods tightly, without slipping. 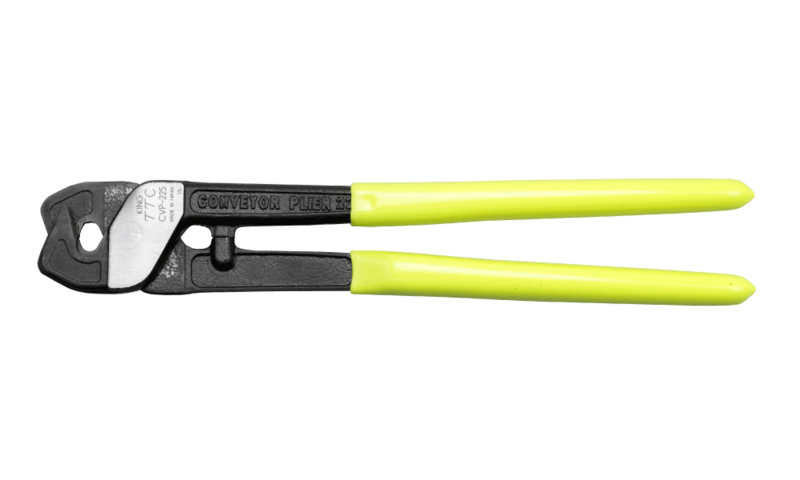 Features of Conveyor Belt Pliers! For the maintenance of metal ladder conveyor belts! No more have to cut ladder parts for their maintenance! 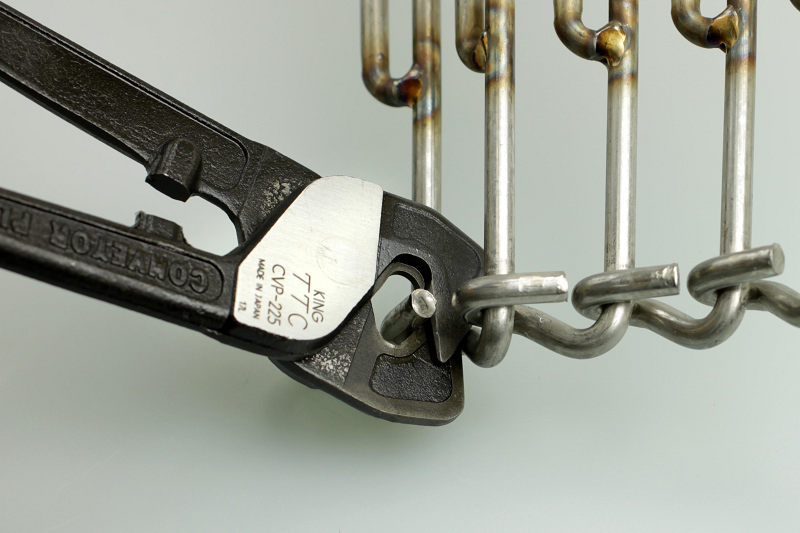 Use this exclusively developed pliers. Opening : Insert the claws into the loop. Closing : Hold entire of looped parts. 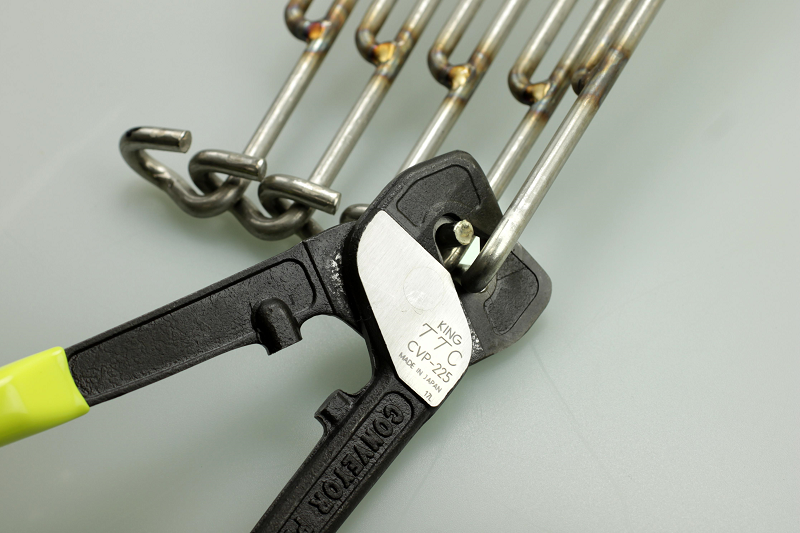 With this hand tool, power tool is no more needed for maintenance of wire conveyor. It is also recommendable for maintenance of machines and factories processing foods because metal dust won't be generated.